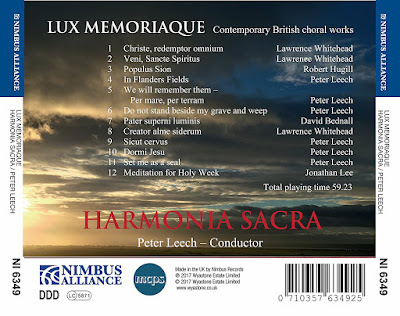 Peter Leech and Harmonia Sacra's new disc from Nimbus Alliance, Lux memoriaque, is based around contemporary sacred music from Advent, much of it performed at the group's regular Advent Sunday concert at St Thomas the Martyr in Bristol. Amongst the works which the choir has performed over the years are a group of my Advent motets from Tempus per Annum, my cycle of 70 motets for the Church's year (all motets are available for free download on Cpdl.org). 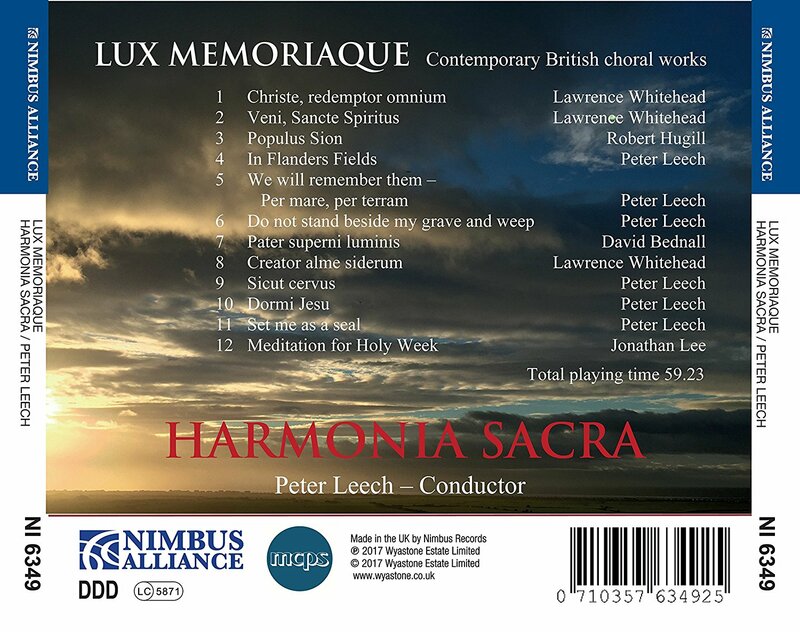 Lux memoriaque includes one of these, Populus Sion, alongside music by Lawrence Whitehead, David Bednall, Jonathan Lee and Peter Leech. Full details of the disc can be found on the Amazon website.